Lola is a fashionista and can never wear the same thing twice. 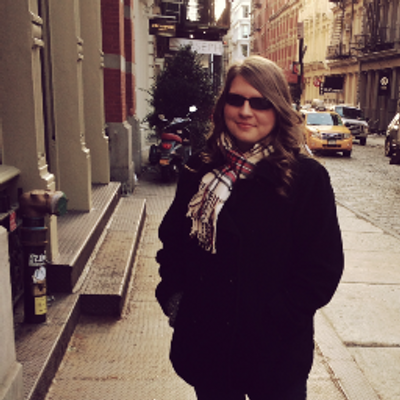 Her boyfriend is a rocker-type and her dads will never approve of him. When Cricket, her childhood friend, moves back in next door, something that was dormant for a while flares up again and leaves Lola questioning. I loved this book so much that even after finishing I go back and read my favorite parts over again. Perkins is the author of Anna and the French Kiss, one of my favorite-reads last year and so I expected so much from this novel. Lola and the Boy Next Door surpassed all my expectations and left me in awe. Perkins has a way to bring real things to the page. In Anna and the French Kiss, she brought true friendship to each page and had it blossom into a gorgeous relationship. In this one, Stephanie Perkins left me stunned with her ability to bring a childhood friend to life. She has a gift. I was a bit skeptical about the cover when I first opened the spine. I wasn’t too crazy about it. It was kind of boring and it did not give the enchanting quality of not showing the guy’s face like it had with Anna and the French Kiss. After reading the book, I found that it has so much more qualities. The star on Cricket’s hand symbolizes something huge in the book and makes me smile every time I look at it, as well as his collection of rubber bands and other bracelets on his other arm. Still, on the cover, Lola creeps me out with her wide-eyed stare. The characters were fantastic. Perkins even had Anna and Étienne make a guest appearance in the novel. They helped Lola out and gave her advice. It was amazing how she incorporated that story into this one. Readers do not need to read Anna and the French Kiss to get the full experience of this book; this is just a companion novel to that one. 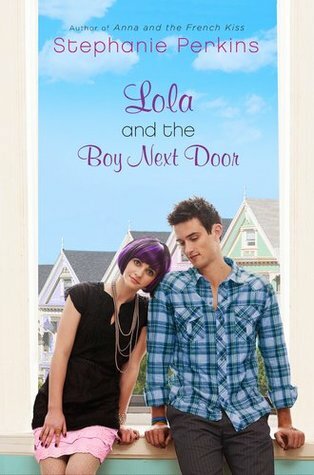 Lola and the Boy Next Door was a masterpiece that touches romantic souls. If you liked Anna and the French Kiss, then you will definitely love this one. I've never actually seen manic pixie dream girls invade books before, but then again I've never looked. However, you make me want to read this book, if it weren't for the fact that it is teen romance/drama. Also, first. I loved this book when I read it. It was so cute! Cricket was awesome! Glad you enjoyed it too. Great review! p.s. There happens to be a lot of exclamation points in this comment! This book sounds fabulous! I love that it was a book that you enjoyed so much. What a great review! I think it is awesome when authors incorporate characters from other books into their current story. So fun! Oooh, I'm with you. The cover really does nothing for me. It does not entice. BUT OMG! I have this one sitting at home, and I'm so excited to read it! I've actually been putting it off: I loved Anna sososososoSOOOOOO much, I want to stretch out the love, if you know what I mean? It was so wonderful, SO perfect, and I know this is going to be just as amazing--especially after reading your review, that I want to have it to look forward to? But my resolve is cracking. I want to read it NOW. Awesome revie! I have been wanting to read this book for a while and your review has made me realize I have to get out and get it soon. The fact that you called it a masterpiece and loved it so much makes me want to start reading!